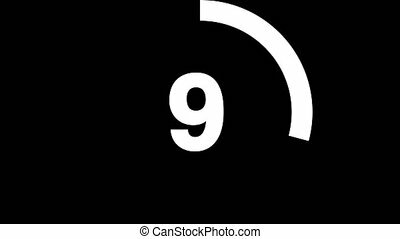 10 to 1 countdown ux. 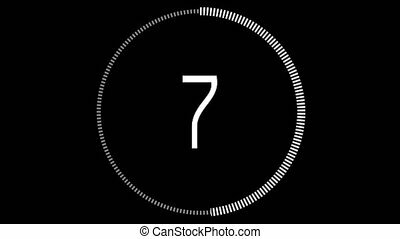 Circular ux alpha element for transparency counting down from ten to one, animating on and off. 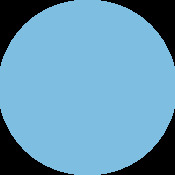 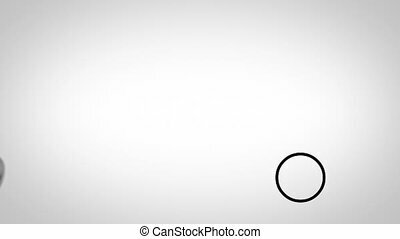 Circular UX alpha element for transparency counting down from ten to one with multiple circle shapes, animating ON and OFF. 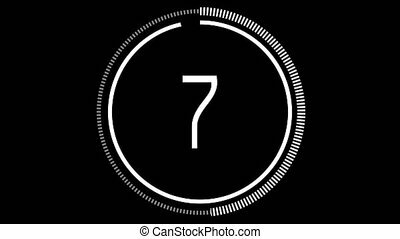 A 6 sided polygon shape icon UX alpha element for transparency counting down from ten to one. 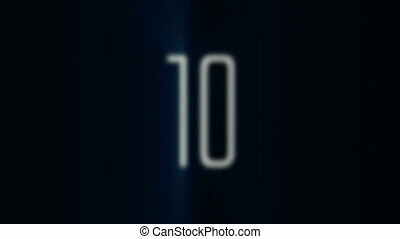 Counting down from ten to one as the numbers flash, blur and dissolve in and out, revealing the next number in front of bright blue volumetric light rays.